Jonny and Dulcie Crickmore are big fans of cows but not – surprisingly – most dairy farms, which they claim are often environmentally unfriendly places whose cows unleash clouds of methane and which clock up thousands of food miles transporting their milk to the other side of the country. 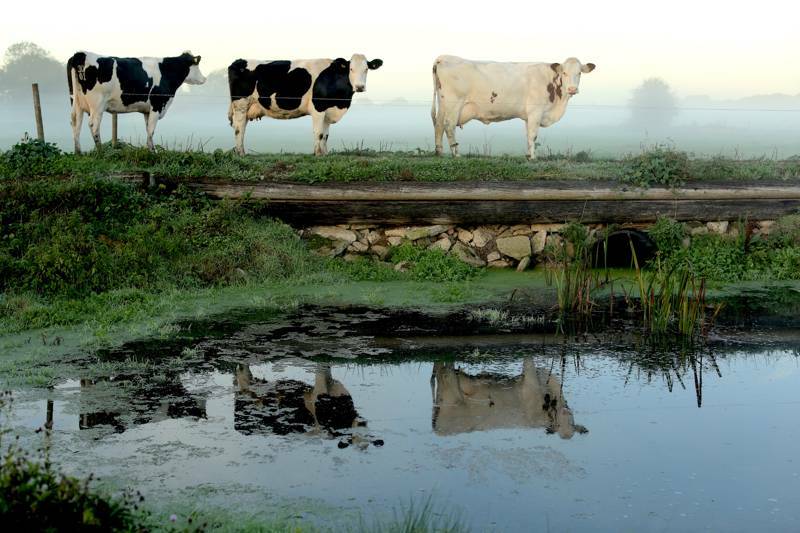 So when they decided to diversify the family dairy farm in Suffolk they decided they would try to be a little bit different – aiming to be a bit kinder to the environment and to keep everything as local as possible. They’ve yet to do anything about the farting cows, but the farm now runs on solar power; their Montbéliarde cows eat grass and homegrown hay and are not forced to produce unsustainable amounts of milk; plus their milk is super-healthy and ideal for cheese-making. Most importantly, say Jonny and Dulcie, their cows are happy, which means that they will produce the very best milk! Not all of the milk is processed on the farm, but much of it forms the raw ingredient for their own dairy products – principally creamy raw milk butter and the farm’s fabulous Baron Bigod brie-style cheese, the only raw milk brie made in the UK. Raw milk and its products are not for everyone, but Baron Bigod is appearing increasingly often in specialist cheese shops and on restaurant cheeseboards, and production has increased 8-fold since they started making it. The cheese is also sold at the farm from what is the country’s first raw milk- and cheese-vending machine (we kid you not!). If you’re in the area you’d be mad not to stop by for a pack of butter or chunk of Baron Bigod – it really is that good.